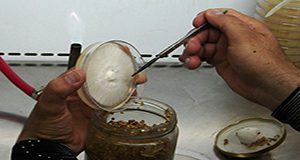 This 6-page publication details the cultivation of oyster mushrooms from mother culture isolation to spawn preparation. This protocol can be used by both homeowners and commercial cultivators. Written by Chih-Ming Hsu, Khalid Hameed, Van T. Cotter, and Hui-Ling Liao and published by the UF/IFAS Department of Soil and Water Sciences, January 2018. 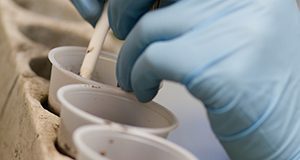 Soil testing is a scientific tool for effective nutrient management that provides an estimate or an index of the available nutrient-supplying capacity of the soil. 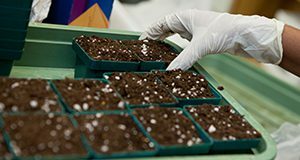 This 9-page publication presents the fertilization recommendations for vegetable crops based on soil tests performed by the IFAS Extension Soil Testing Laboratory (ESTL). Written by Rao Mylavarapu, George Hochmuth, and Guodong Liu and published by the UF/IFAS Department of Soil and Water Sciences, December 2017. Water is a limiting factor in Florida citrus production due to non-uniform rainfall distribution and the low water-holding capacity of our sandy soils. Because periods of low rainfall coincide with critical stages of citrus production, additional irrigation is necessary to reduce the negative effects of water stress. 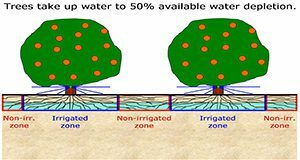 This 6-page document covers recent findings on water use of trees affected by citrus greening and the impact this would have on irrigation management considerations. Written by Davie Kadyampakeni, Kelly Morgan, Mongi Zekri, Rhuanito Ferrarezi, Arnold Schumann, and Thomas A. Obreza and published by the UF/IFAS Department of Soil and Water Sciences, October 2017. Just like a sponge, soils with high organic matter (OM) can absorb and hold water during rainfall events and deliver it to plants during dry spells. 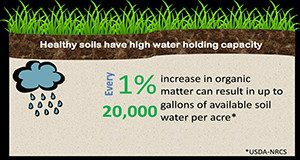 Water is increasingly becoming the most limited natural resource supporting agriculture, but growers can improve their water storage capacity by raising their soil’s OM content. This 5-page fact sheet demonstrates how soil OM content can help increase water holding capacity of soils and describes the laboratory procedure to measure WHC. Written by Jehangir H. Bhadha, Jay M. Capasso, Raju Khatiwada, Stewart Swanson, and Christopher LaBorde, and published by the UF/IFAS Department of Soil and Water Sciences, October 2017. Most people agree that healthy, well-maintained turfgrass is a thing of beauty. 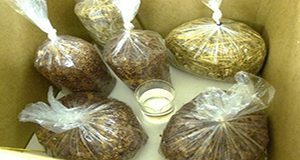 The successful growth of turfgrass is aided by having knowledge of a few basic facts concerning the nutritional requirements of turfgrasses and the properties of fertilizer and liming materials. This four-page document will help the reader understand how soil testing may be used to more efficiently manage nutrient applications for Florida turfgrasses. Written by T.W. Shaddox and J.B. Sartain and published by the UF/IFAS Department of Soil and Water Sciences, October 2017. Soil health is a term synonymous with soil quality. It refers to the chemical, biological, and physical characteristics that influence a soil’s ability to function sustainably and to satisfy the needs of humans, support plants, and cycle elements, water, and energy between earth systems. This four-page fact sheet identifies ways to evaluate soil health. Written by Jehangir H. Bhadha, Jay Capasso, Robert S. Schindelbeck, and Allan R. Bacon and published by the Department of Soil and Water Sciences. This four-page fact sheet is part of a series titled Soil Phosphorus Storage Capacity (SPSC) for Phosphorus Risk Assessment and Management. This series is intended for use by those who are interested in management practices and policies that minimize the risk of phosphorus loss from soils. Written by Biswanath Dari, Vimala D. Nair, and Willie G. Harris and published by the Department of Soil and Water Sciences. This four-page publication provides basic information about land application of biosolids to pastures and hayfields in Florida. The information contained in this document should be of interest to stakeholders, biosolids managers, students, and scientists interested in topics related to biosolids management practices and the potential benefits and risks associated with biosolid land application. Written by Maria L. Silveira, George A. O’Connor, and Joao M.B. Vendramini and published by the Department of Soil and Water Sciences. 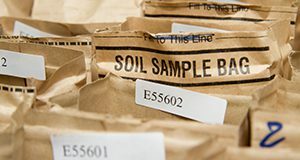 This seven-page fact sheet describes the various soil Orders in Florida, how they were developed, their characteristics, coverage in the state, and uses. 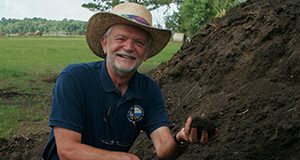 This information is important for educating land owners, decision-makers, and educators about soils in Florida, leading to better soil management for agricultural and environmental sustainability. Written by Rao Mylavarapu, Willie Harris, and George Hochmuth and published by the Soil and Water Sciences Department. 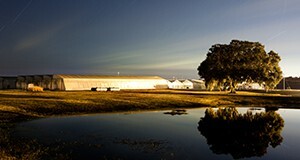 Rice production in the Everglades Agriculture Area (EAA) of Florida dates back nearly seven decades. For a brief period in the 1950s about 2,000 acres of rice was grown in the EAA. Rice was reintroduced in the EAA in 1977 after it was demonstrated that rice could be successfully incorporated into the sugarcane production cycle during the fallow period. 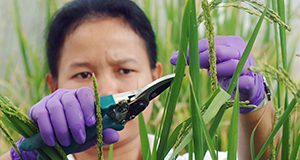 This three-page fact sheet provides a history of rice production in Florida and information about rice varieties grown in Florida. Written by Jehangir H. Bhadha, Luigi Trotta, and Matthew VanWeelden and published by the Soil and Water Sciences Department. Tradescantia fluminensis (small-leaf spiderwort) is a perennial subsucculent herb native to tropical and subtropical regions of Brazil and Argentina. 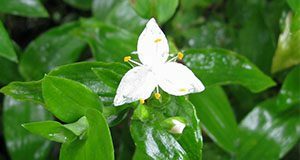 The species has been introduced to the United States and countries in many parts of the world where it is often considered invasive. This seven-page fact sheet describes the small-leaf spiderwort, its taxonomy, geographical distribution, biology and ecology, reproduction and colonization, its impact as a weed in the southeastern United States, and ways of managing the spread of small-leaf spiderwort. Written by Jason C. Setiz and Mark W. Clark and published by the Department of Soil and Water Science. Shiga toxin is a protein found within the genome of a type of virus called a bacteriophage. These bacteriophages can integrate into the genomes of the bacterium E. Coli. 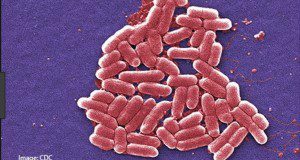 Even though most E. coli are benign or even beneficial members of our gut microbial communities, strains carrying Shiga-toxin encoding genes are highly pathogenic in humans and other animals. 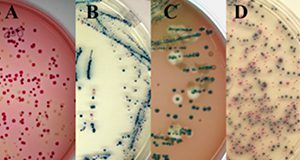 This six-page fact sheet discusses the two types of Shiga toxins and the best approaches to identifying and determining which Shiga toxin is present. Written by William J. Zaragoza, Max Teplitski, and Clifton K. Fagerquist and published by the Department of Soil and Water Sciences. Biosolids are the liquid, semisolid, and solid fractions of the treated waste stream from a domestic waste water treatment facility. This 5-page fact sheet, part of the Florida Biosolids series, provides an overview of biosolids, biosolids classes, pathogen reduction, vector attraction reduction, and metal contaminants, and also discusses the purpose, applicability, and history of Chapter 62-640, Florida Administrative Code. Written by John Hallas, Ann C. Wilkie, and Cheryl L. Mackowiak, and published by the UF Department of Soil and Water Science, December 2015. Because temperatures are relatively high and it rains a lot in the region, mineral soils in the southeastern United States tend to be naturally acidic. Managing soils for both pH and nutrients helps maintain soil fertility levels and ensure economic agricultural production. 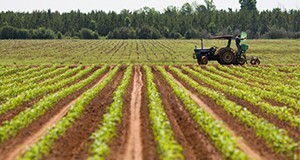 If they are not maintained in the 6.0 to 6.5 pH range, which is best for most crops, most mineral soils in the Southeast will gradually return to their natural acidic state and their fertility levels will drop. 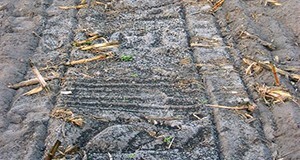 In order to keep the soil in the right range, farmers have been encouraged to make routine applications of lime. Calibrated lime requirement tests are part of standard soil tests in this region, but getting the balance right can be tricky. This 4-page fact sheet written by Rao Mylavarapu, George Hochmuth, Cheryl Mackowiak, Alan Wright, and Maria Silevira and published by the Soil and Water Science Department explains the factors that contribute to increased soil pH and describes methods for reducing soil pH that will reduce the chances of either under- or over-liming the soil. 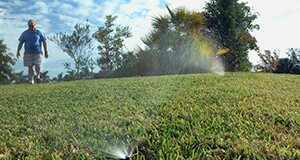 Landscapes, recreational areas, and sports fields are important parts of the University of Florida campus that receive nitrogen (N) fertilization to maintain the health and quality of their plants. However, nitrogen can be lost from the landscape through runoff in storm water or leaching into groundwater, both fates leading to pollution of the receiving water bodies. Human activities can also cause losses of nitrogen. Therefore, educating people about nitrogen cycling in the urban environment is critical for the development of solutions to the environmental problems caused by nitrogen loss. This 5-page fact sheet discusses nitrogen mass budgets, land uses in a major university, and nitrogen sources and fates associated with different land uses on campus. Written by Jiexuan Luo and George Hochmuth, and published by the UF Department of Soil and Water Science. 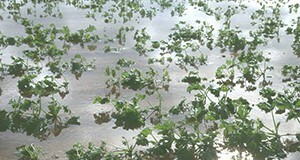 Flooding is a major risk for commercial vegetable production in south Florida, especially in the south Dade County area. Flooding causes oxygen deficiency, or hypoxic stress, causing the plants to produce less energy. This shortage in energy prevents the absorption of nutrients like nitrogen, phosphorous, and potassium. This four-page fact sheet discusses several different management practices for overcoming flood damage, including the use of nitrogen and potassium fertilizers, oxygen fertilizers, growth regulators, and fungicides. Written by Goudong Liu, Yuncong Li, and Xiangju Fu, and published by the Soil and Water Science Department. Plastic, plastic everywhere! We live in a world where we are surrounded by plastic: from packaging materials and cutlery to plastic appliances and medical devices. Since the mid-twentieth century, plastic has been a boon to humanity and an integral part of our modern lives. However, plastic debris is a major concern due to its abundance and persistence in the environment. 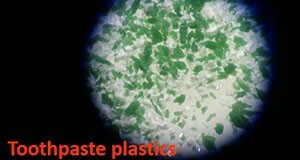 Plastic contaminants not only include plastic debris characterized by large size but also small pieces of plastic in the millimeter size range; these inconspicuous “microplastics” have become a major concern because of their widespread presence in different environments and diverse organisms. This six-page fact sheet discusses the sources of microplastics, their effects on the environment, and ways to minimize microplastics pollution and exposure. Written by Yun-Ya Yang, Ignacio A. Rodriquez, Maia McGuire, and Gurpal S. Toor, and published by the Soil and Water Science Department. As society confronts the consequences of global warming, deteriorating water quality, and impoverished biodiversity, there is a growing urgency to develop and expand water buffers' multifunctional ecosystem services. However, limited information is available on other potential co-benefits associated with the use of buffers, particularly VFSs. This 5-page fact sheet provides information on buffers' multiple ecosystem benefits, such as niche products production, carbon sequestration, and flood risk mitigation, as well as recommendations on future research needs necessary to enhance multiple ecosystem services and benefits of buffers. Written by Lei Wu, Rafael Muñoz-Carpena, and Yuncong Li, and published by the UF Department of Soil and Water Science, November 2015.